Cody Cooper is a senior Communication Studies major at Rowan University. He is the founder of the podcast FreeTown Radio which is a Soundcloud based podcast which creates weekly posts exploring topics such as music, fashion, and other forms of media. What is perhaps most interesting about FreeTown Radio is the inspiration behind its creation. Cooper began producing the podcast after receiving an assignment from a Participatory Media class last semester. I sat down with Cooper to discuss this along with his other inspirations for not only creating, but continuing this project. Nah’Ja Washington: What was the initial assignment that was given in your Participatory Media class that inspired you to create FreeTown Radio? NW: Have you ever listened to Podcasts in the past? If so, what podcasts were they? NW: What made you want to continue your podcast long after the class has ended? 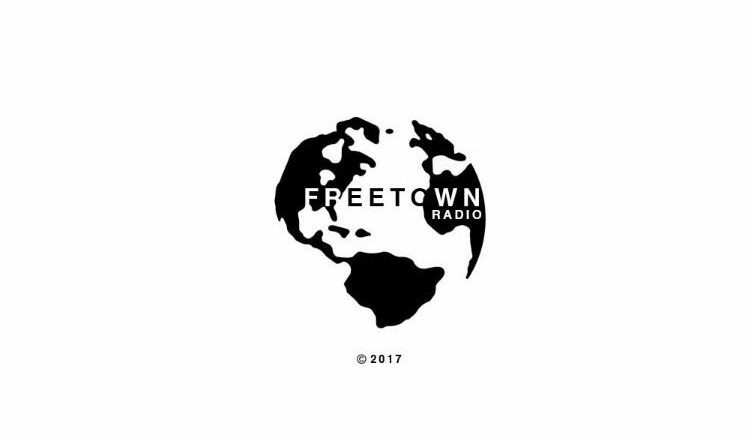 NW: What type of themes/topics do you explore on FreeTown Radio? CC: In my podcast I strive to provide a positive outlet for those of the creative spectrum to express their thoughts in an artful way. I have always been captivated by hip-hop, journalism, interviews, photography, and documentaries especially. With that being said, nearly a year ago I’ve established my own podcast to explore the avenues of visual and performing arts and interview those of that nature including rappers, videographers, guitarist, designers and etc. The true artist helps the world by revealing mystic truths, however, in the near future, I’m building towards establishing a media/news company to exhibit talented artists. NW: You post weekly to SoundCloud is that a hard medium to use? Tell me about the logistics, how does it work? NW: What do you think makes Freetown stand out in comparison to others? Cooper was very proud of his work, throughout this interview he spoke with pride. The amount of work in which he inputted into the media he produced for his podcast was obvious. Not only by the stern look of hard work and dedication in which he wore on his face throughout the duration of the interview but also on his Instagram and other personal social media accounts. Cooper uses his Instagram (@codycooperrr) as a continuous advertisement for FreeTown. Unlike other college students while searching through Coopers 180 posts on the app I could not find one selfie, not one clear picture of his face, every post ether featured an article of clothing, a music artist, or another picture that was way too cool for me to comprehend. Cooper says that it is very important for him to develop his social media as a platform for his work. CC: I post what interests me and that’s not necessarily pictures of my face or a drink from Starbucks with some artsy background. If I have 869 people who are going to view my post regardless of what it is, why not make it important to me? I don’t post this stuff to be pretentious, however (make sure you include that he whispers) I just hope that one day I can be an inspiration to those who have inspired me.